P.C. Hawke and his partner Mackenzie are two cool, teenaged sleuths. In The Scream Museum, they find themselves on their toughest case yet. P.C. and Mackenzie's friend, Tom the janitor, has been accused of murdering the head biologist at New York City's Museum of Natural History. But they know Tom couldn't be the real killer, so they begin investigating. Exploring the crime scene and digging deep, they uncover a strange, precious artifact and a huge arachnid at the heart of the mystery. 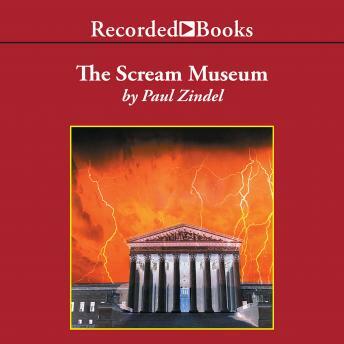 Pulitzer Prize-winning author Paul Zindel has written spine-tingling tales for young adults such as The Doom Stone, Loch, and Rats. With a tense, suspenseful reading by narrator Jeff Woodman, Zindel's story will stick to you like glue until the final scene.